Wooden spoons at the ready for Linda Collister's The Great British Book of Baking. This is the official book to accompany the hit BBC2 TV series The Great British Bake-off, presented by Sue Perkins and Mel Giedroyc. This book takes us on a tour of the very best in baking our nation has to offer -- from Eccles cakes to Cornish pasties, Chelsea buns to Scottish gingerbread. With trips to notable landmarks from baking history -- Melton Mowbray and Sandwich among the more famous, as well as locally loved secrets from towns and villages around the country -- the book highlights the importance of baking as part of our national heritage. Over 120 recipes, as well as numerous adaptations and suggestions, cover the whole range of baking skills from sweet jam tarts to savoury game pie. These are recipes that have been passed through the generations, securing themselves as baking classics, and include recipes from the contestants of The Great British Bake Off. Whether you want to try your hand at the delicate art of petticoat tails shortbread or dish up a hearty steak pie to a hungry family, you will be looking between the pages of The Great British Book of Baking time and time again, as Linda Collister has brought together the very best recipes from around the British Isles. Linda Collister has written over twenty-five books, having trained at the Cordon Bleu, then La Varenne in Paris. Sheila Keating is a food writer and author, with a special interest in the provenance of British food. Start reading The Great British Book of Baking on your Kindle in under a minute. We are a nation of bakers. Baking is steeped in our history, class system and geography. What is more Scottish than shortbread? More Cornish than a pasty? More Welsh than Bara Brith? More traditional than a pie? The Great British Book of Baking looks into our long and enviable baking heritage and brings together over 120 of the very best recipes from around the British Isles. Whether your weakness is a 4 o'clock biscuit dunked in your tea, a slab of rich chocolate cake or warm bread fresh from the oven, you'll find a recipe to satisfy your every craving in this book. Learn how to make a traditional raised pork pie, perfect your flaky pastry skills for the ultimate Eccles cake and discover how the baking fashions and trends of Great Britain developed throughout the centuries as people moved around the globe. With recipes for sweet and savoury tarts and flans, homely puddings and hearty pies, delicate slices, teatime treats and breads and cakes for every occasion, this truly is the book of great British baking. Linda Collister trained at the Cordon Bleu, then La Varenne in Paris. She has written over twenty-five books, nearly all on the subject of baking. Sheila Keating is a food writer who has worked on a wide range of books. She has a special interest in the provenance of British food and has written the narrative introductions for The Great British Book of Baking. 5.0 out of 5 starsSuch a lovely book! This is such a lovely book with tons and tons of great sweet and savoury recipes. Each chapter has a three-pages long introduction informing about the history of said baked good, e.g. bread, from ancient times untill today. I really enjoyed reading these introductions. They are very interesting and filled with little stories, quotations from Shakespeare and so on. But if you are not interested in these things you can easily move on without missing any information when actually baking. So let's move on to the recipes: there is - as said before - a great variety of recipes so everyone should find something to their taste: from jumbles to scones to Irish farmhouse soda breads to bagles to all kinds of sweet and savoury tarts, flans, pies, and puddings to lovely cakes. The recipes are very thorough so that even inexperienced bakers should have no problems: it's for example always said what to do with the goods when they come off the oven (leave in the tin or remove from the tin), when there is an option for making the dough by hand and one for making it with an electric gadget, both options are explained and so on. 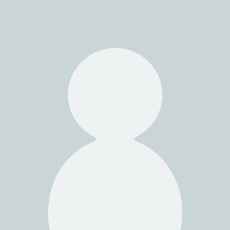 Furthermore - and I found this very helpful - there a pages dedicated to specific ingredients (like yeast), methods (like blind baking) and so on. I've been battleing with yeast for my whole baking life and I finally managed to master it thanks to the tips giving in this book. And if you're an experienced baker and know all there is, these information don't disturb you as they are on specific pages and you can easily ignore them. Another aspect I really enjoy is the beautiful phtography and layout. Every recipe has its own photo and its own double page (or more). Inbetween there are some 'picture pages' just showing pictures of the beautiful British countryside, tea rooms, bakers and so on. So if you're not baking, this book can easily sit on your coffee table ready to just look at. I love this book and I would buy it again and again. 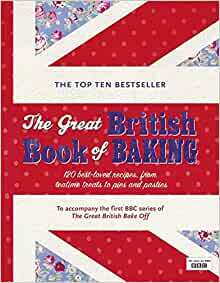 If you're interested in baking and/or Britain you sould buy it too! 5.0 out of 5 starsHighly recommended book celebrating British cooking heritage. Finally, a book on British baking. I am slowly building a new collection of cookbooks and love the range offered on Amazon as well as the prices. I had bought Delia's cakes and up until now considered that the best book I had found that contain mostly British recipes. But this book is fantastic. I am a bit of a traditionalist in my cooking and not the most adventurous given the choices we have nowadays, and wanted something that celebrated our British cooking heritage - this is it. Some of the dishes I bake regularly already and look forward to trying them with the suggestions in the book. Others I haven't tried and it opens up new dishes at the table, that can all be made with local ingredients. I bought this at the bargain price of £5 too. Grab it while you can! 5.0 out of 5 starsThe Best Baking Book Ever ! The best baking book I have ever bought, the recipe for Sticky Marmalade Cake is stunning and best of all delicious and easy. Have bought many baking books over the years, but this one is the best so far, I also bought the Linda Collister Chocolate Cookbook, another gem , what I can't understand is why this author /cook isn't a household name . 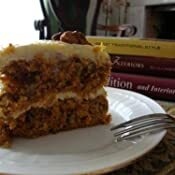 5.0 out of 5 starsOne of the very best baking books I have! Being a Domestic Goddess interested in English cooking, I have owned many cookery and baking books over the years and from time to time many have ended up in a charity shop. A lot of cookery books are dissapointing, suggesting recipes that are impractical with a poor end result. So I got this book out of the library first as I am more cautious these days. It was soon very apparent that this book is REAL gem!! There is nothing in it I would not be prepared to make. The layout is attractive and well thought out, with good sensible instructions with excellent photos of the finished article. I have all Nigella's books (she is my kitchen heroine) and I have many favourites from her books. (Do try Lemon Syrup Loaf, its to die for!) Some of her recipes are very rich so The Great British Book of Baking brings you down to earth in the kitchen with excellent tried and tested well known treats. Its absolutely no use if you are slimming, but hey, you need to have a treat now and again. The recipe for the Bakewell Tart is very good as is the Sticky Marmalade Tea Loaf. Enjoy! From the Derbyshire Domestic Goddess. I was in two minds over whether to buy this particular title - but what convinced me was a friend starting to cook his way through it and achieving good results. So I bit the bullet and am glad I did. It is a good collection of British classics (with a few new twists) - well presented with some excellent photography. Some reviewers have commented on the lack of recipes from contestants in the Great British Bake Off series. This doesn't worry me at all - the book is a companion to that competition rather than being the book of the series. It is what it says it is - a book on British baking - plain and simple. What stops me from giving this top marks is the fact that we don't have a table of contents. The book is split into 7 sections - which is fine - but there is no way of knowing what is in each part (and some of the categorisations are a little arbitrary with the boundary between cakes and breads being rather ill-defined). So this is a good book on baking but, perhaps, not a great one. Take a look in your local bookshop before you buy - just to be certain it is for you.